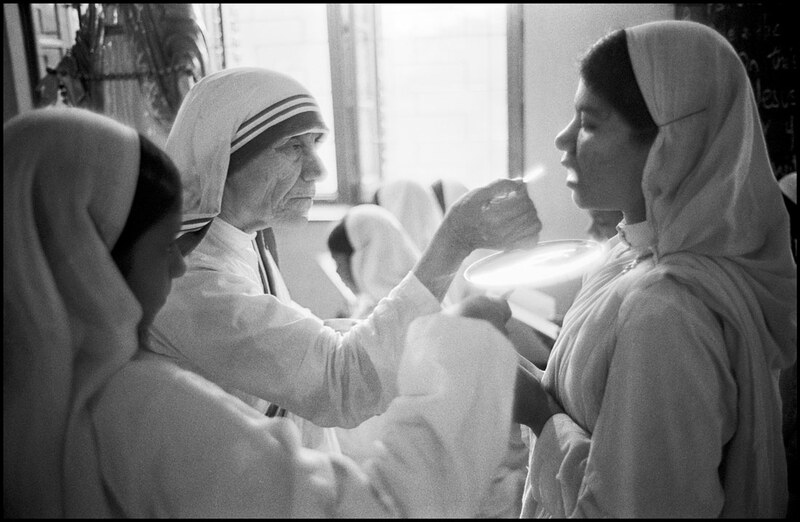 In late 1979, a photographer went to India to make images of a nun and missionary. It would be a trip that brought together two seemingly different women with one strikingly similar interest: the human condition. 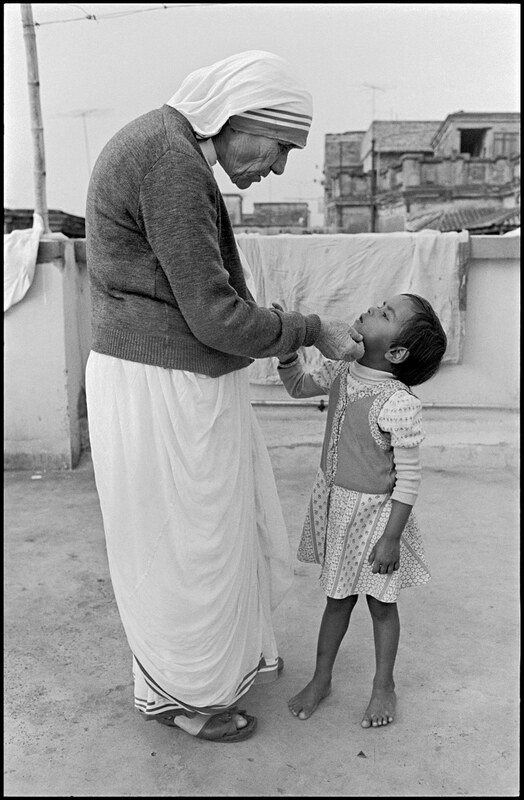 Mary Ellen Mark documented people from all walks of life -- from homeless teenagers to movie stars -- and she was sent to Kolkata on a feature assignment for Life magazine. 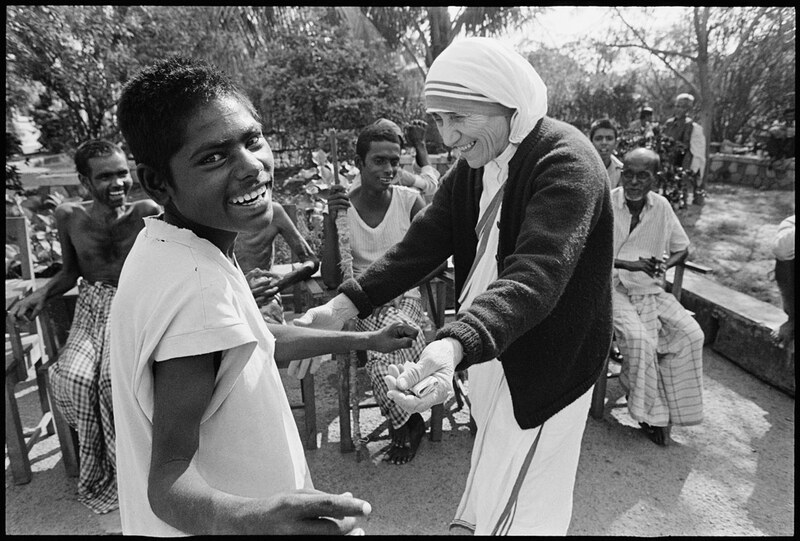 And Mother Teresa, who created the Missionaries of Charity and dedicated her life to caring for the poor and ill, had recently been awarded the Nobel Peace Prize. Neither woman is with us anymore; Mark died in May 2015 and Mother Teresa died in September 1997. 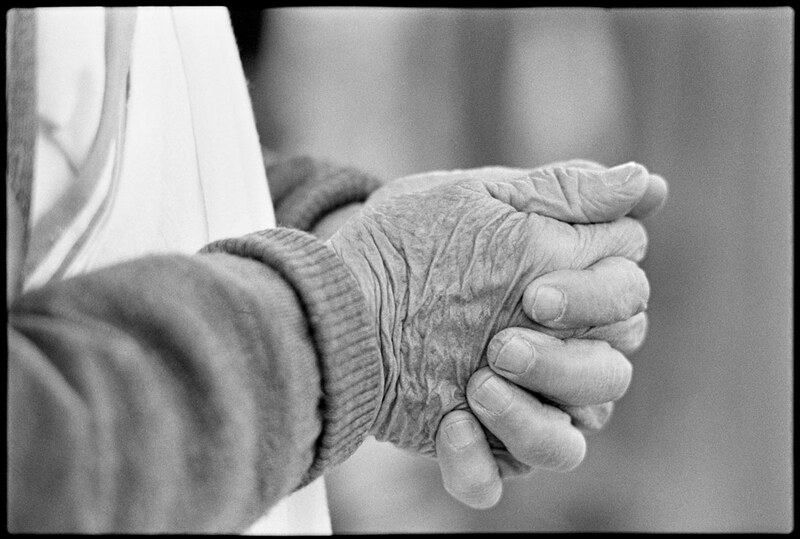 What is with us, and will be forever, are the treasured black-and-white photographs of their time spent together. 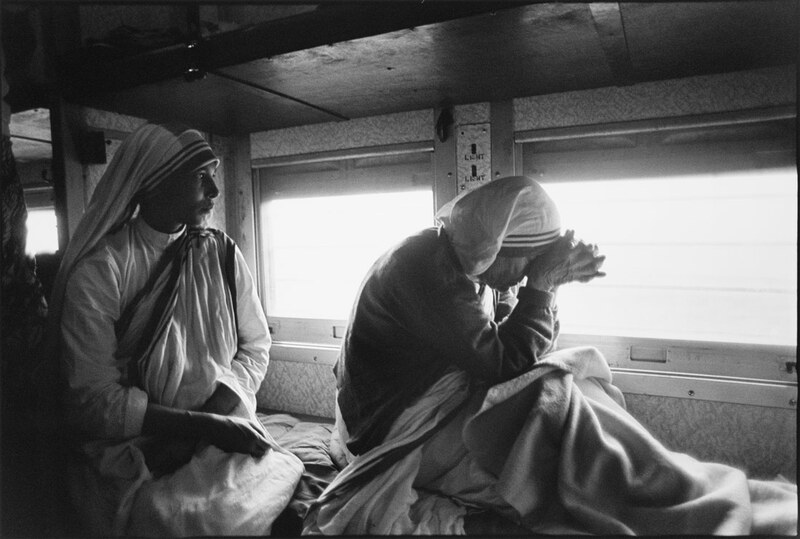 Mark’s images place us in the presence of Mother Teresa; it’s as though we are right there as she’s caring for a patient, praying on a train, smiling in a car. While Bell says his late wife likely found every assignment challenging, “as if each new project were the first time she had ever picked up a camera,” her assignment for Life was especially so. 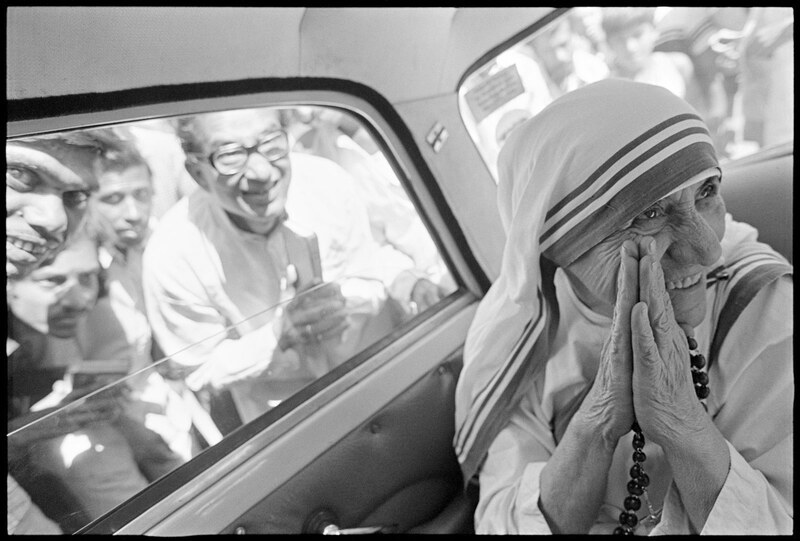 Photographing Mother Teresa in such an intimate manner wasn’t easy for Mark, because Mother Teresa never wanted to be photographed initially. 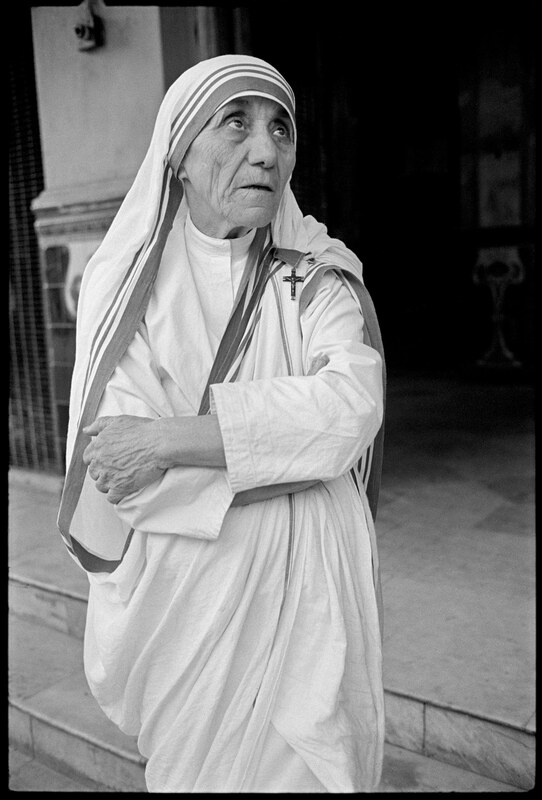 But the nun and the photographer seemed to share an unwavering devotion to understanding the people and the world around them. 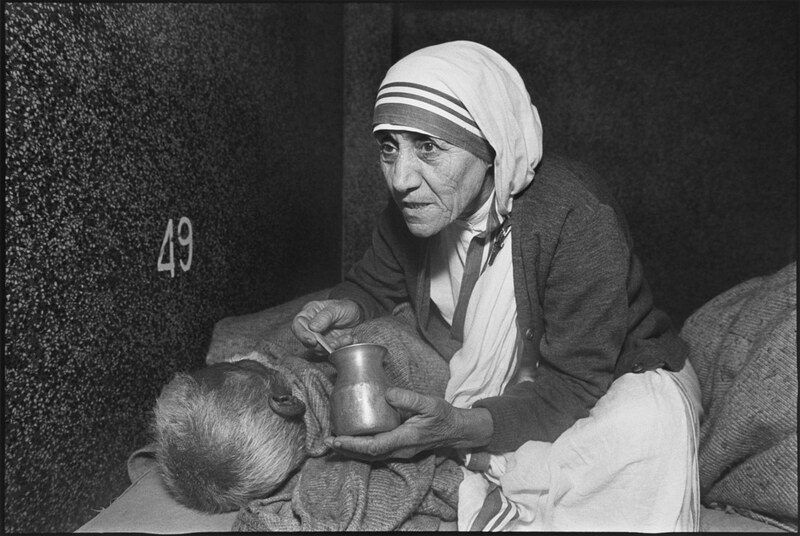 Had the American photographer and the Albanian nun not come together, we would not have had these photographs, which are particularly relevant today as Mother Teresa is set to be canonized by Pope Francis on Sunday. Mother Teresa, born Agnes Bojaxhiu, will become a saint after having been credited with two posthumous miracles: the healing of an Indian woman whose stomach tumor disappeared, and the recovery of a Brazilian man with brain abscesses who awoke from a coma. Bearing witness to people’s pain was difficult, Bell observed. It was also inspiring, he says, to have seen so many young women who had committed their lives to helping others. But what he found most memorable was witnessing his late wife’s ability to be accepted as though she had always been there. “I was struck by the relationships Mary Ellen had made during her first trip,” Bell said, adding how many of the sisters and patients Mark met on her first trip had welcomed her back. Bell says whenever his wife revisited people, she would remember their names, their children’s names and even the names of their pets. It didn’t matter who the subjects were or what the initial purpose of the project may have been. 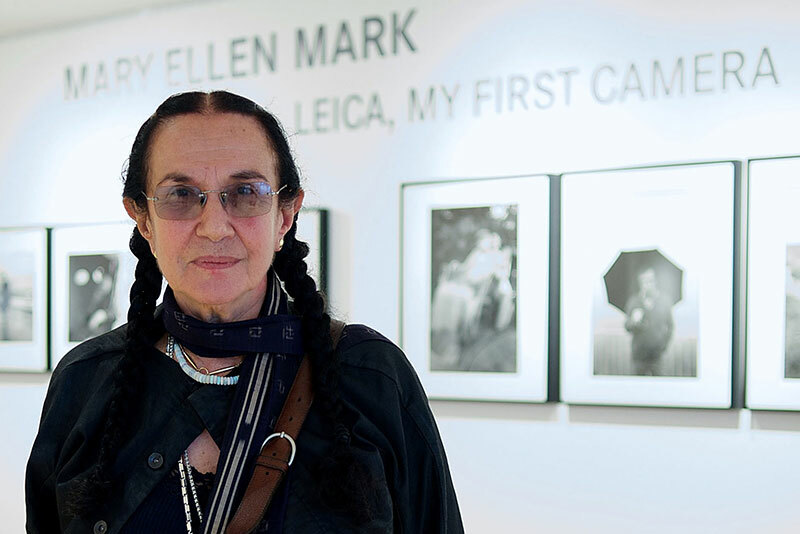 Mary Ellen Mark was a legendary portrait photographer. You can follow her work on Facebook and Twitter. See her final assignment: New Orleans 10 years after Hurricane Katrina.